Like failing to backup files, IT downtime can be a real pain. Between losing data, battling employee productivity, and maintaining a positive revenue stream, you may wonder: How much is my business losing during the occasional network downtime? The average cost of IT downtime is about $9,000 per minute, according to Ponemon Institute. The cost of IT downtime calculation evaluates the cost of repairing and restoring your IT systems and the intangible costs of revenue due to employee productivity. To calculate your cost of downtime, you can use this downtime calculator. As an IT consulting company supporting high-volume businesses, it’s our responsibility to help reduce the costs associated with IT downtime. As we’ve grown over the years, we’ve established processes to keep our customers productive and on top of their game during an outage. For any business, creating a disaster plan is an essential key to success during an outage. Before we dig into the costs of IT downtime, check out our visual infographic guide below. In a report by IHS in 2016, North American businesses reported lost $700 billion per year due to network downtime. The report also stated that network interruptions were on of the biggest causes of downtime, but what causes the network outages? Here’s a look at the four downtime causes from the IHS report. 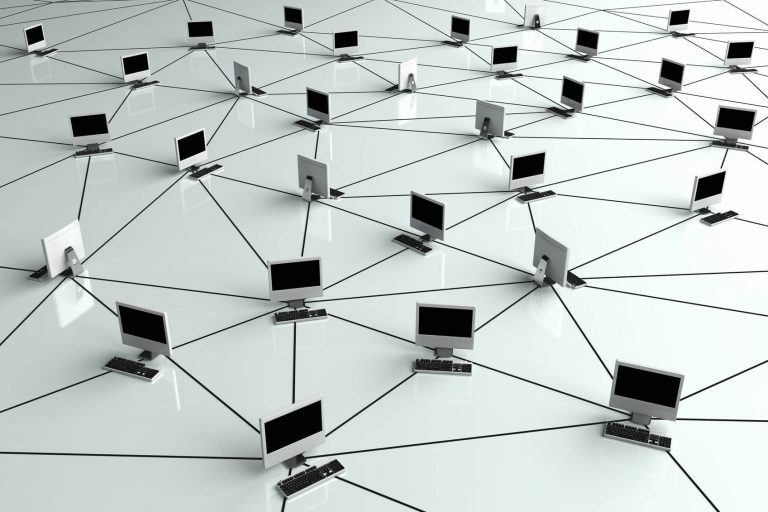 Network downtime can affect many facets of your business. 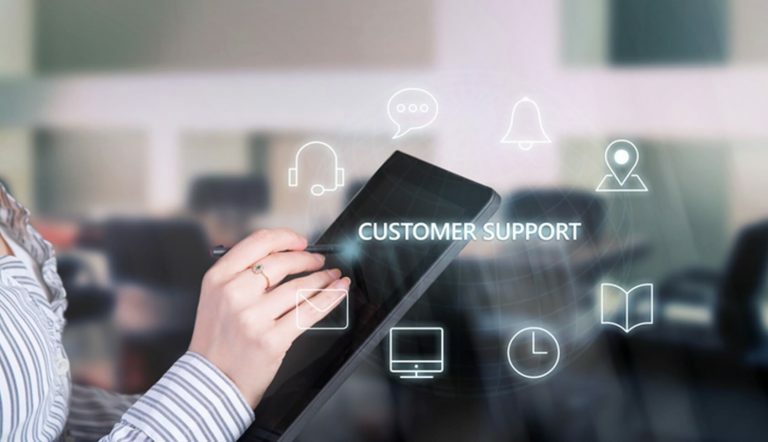 From lost sales revenue and employee productivity to restoring IT systems and repairing customer relationships, the impact of downtime can have a drastic effect on your business. Employee productivity is incredibly valuable. On average, each company loses 545 person hours a year. For example, if you pay an employee $50,000 a year and 2,080 hours per year ‘s $13,100 lost employee time and productivity per year for one employee. Let’s break down another example. 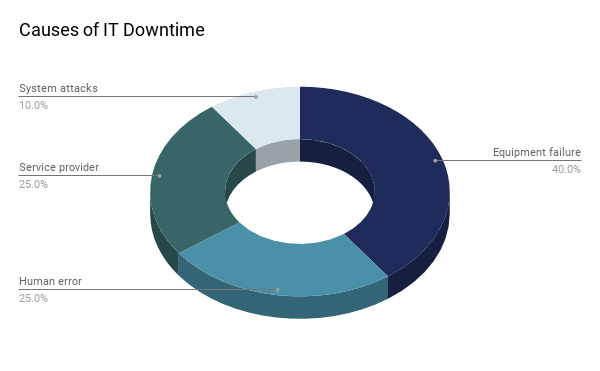 If you’re a hotel with $5 million turnovers with a loss of revenue of $5,479 and staff costs of $3,000, your total cost of IT downtime is $9,079 for one day. The costs begin to rise quickly, doesn’t it? And, it’s not just the cost of employee productivity and revenue. Companies on average lost 400%more data from 2012 to 2014. In healthcare industry alone, 28% have experienced data loss at a total cost of $807,571 per incident. Delta was down for 5 hours and lost $150 million in revenue. Slack was down for 2 hours and lost 2 million users. Salesforce was down for 12 hours and lost $20 million in revenue. Apple was down for 12 hours and lost $24.6 million in revenue. Businesses need real-time IT support to help reduce the cost of downtime. You want accuracy and reliability for your employees and customers during a network outage, but it’s tough to create with plan or have someone available 24/7. As we’ve been working in this industry for many years, here are three common ways we work with businesses to reduce the cost of downtime. Do you have someone available 24/7 to handle outages? Have you had a network outage before? How long? If yes, what were the top customer complaints? How can we improve the experience in the future?Together, we set goals to tighten up internal and external IT processes and network security to provide the best possible support and protect our customers during those more stressful times. When your network goes down, you want to reduce the amount of data lost. By setting up a schedule with frequent backups can keep your data safe, so you’re ready for an emergency. 3. New opportunities with managed IT service provider. If you decide to work with a managed IT service provider, you may have access to things that you didn’t before. Before you begin setting up your disaster plan, consult with your IT support team to learn what options are available. Especially if you have an internal IT support team, a managed IT service provider can offer employee training. And, you’re able to have 24/7 security that you may not achieve with a 9-to-5 employee. When you know what is possible, you can focus on making the best security plan for your business. IT support can be involved, so ask all the questions you may have upfront before working with a company. Your business may find it hard to recover after a network outage, but proper preparation is the key to reducing the cost of IT downtime. While it may be tempting to sweep it under the rug until it happens, putting procedures and policies in place beforehand will save you time, money, and your brand reputation. 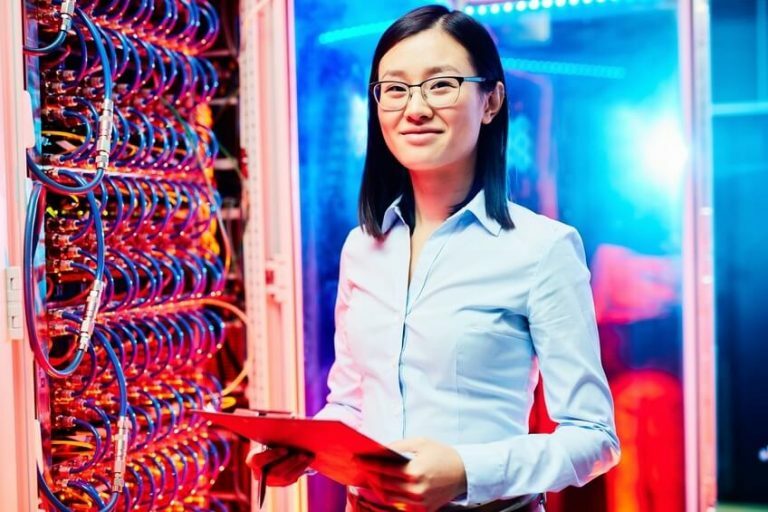 If you’re tight on budget and time, or if you have complicated IT infrastructure, consider hiring a managed IT service consultant to help you avoid issues in the future. Whether you do it yourself or have a team, you should be aware of these common problems with network downtime.